students who have not fully satisfied the requirements for earning a university certificate. The allegations were made by Eche James, who claimed to have worked as a consultant for AIFCE for five years. Mr. James said that AIFCE, an affiliate of UNN, has awarded over 800 certificates illegally. He also indicted Samuel Ejiofor Chigozie, whom he claimed to be the current assistant commandant of the Anambra State division of the Nigeria Security and Civil Defence Corps (NSCDC). “The Federal College of Education, Owerri, in affiliation with University of Nigeria, Nsukka, has awarded over 800 certificates illegally. A present serving civil defense officer, Samuel Ejiofor Chigozie, who is presently now an assistant commandant in Anambra division, did not go to school but he was awarded a 3.5 CGPA from the University of Nigeria, Nsukka, Political Science Department,” Mr. James alleged. He added that a letter signed by a registrar at AIFCE, Mrs. Aguta A.N., said that Mr. Chigozie’s certificate was invalid. In another recorded conversation between Mr. James and a staff of AIFCE, Damaris Nwokeji, it was inferred that a certain Computer Science department head named Mr. Nwosu was sacked for a related offense. “HOD Computer Science was sacked because of what you found out. Is that not enough for you? Are you a sadist? Is that how you show your own appreciation to some who gave you work?” Mr. Nwokeji queried. Blessing C. Ijioma, former provost of AIFCE who was also indicted in the video, denied the allegation, claiming that Mr. James is merely disgruntled that he lost his job with the college of education. “Mr. James is a disgruntled young man who requested that we pay him N19 million for work done. So, the college asked him to present his work because he was involved in a task force that was recovering students’ fees, students that have evaded fee payment. “So, we requested that he should bring the fees that he recovered because that is how he is normally paid. When he brings the names of the students and the amount of fees recovered, the college, out of discretion, pays him something. There was no memorandum of understanding. There was no agreed percentage. “This blackmail started when he saw that his job was about to stop because we had already trained our own staff to do the work. He was only an ad hoc staff. When he discovered that we had trained our staff and we were about to stop his job, he started the blackmail. “I think that he is actually going out of his mind. 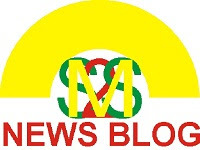 If he has 800 [illegal] certificates he would list their names,” Mrs. Ijioma said. Christopher Igbokwe, the registrar of UNN, further denied the allegations, stating that Mr. James was invited for a fact-finding meeting for him to substantiate his claims with evidence but he did not show up for the meeting. “Mr. Eche failed to attend the meeting. He was said to be a staff of Alvan Ikoku who had issues with his employer. We had invited him to a meeting, everyone invited attended but he did not show up. The university had wanted evidence from him to substantiate his claims. “I do not know if Alvan Ikoku had dismissed him or not arising from the disciplinary issues he had with them. We are awaiting his evidence,” he said. The registrar told SaharaReporters that Mr. James confirmed that he was invited but did not honor the meeting for security reasons.